In 1938, poet W. H. Auden wrote "Musée des Beaux Arts," a poem about suffering. 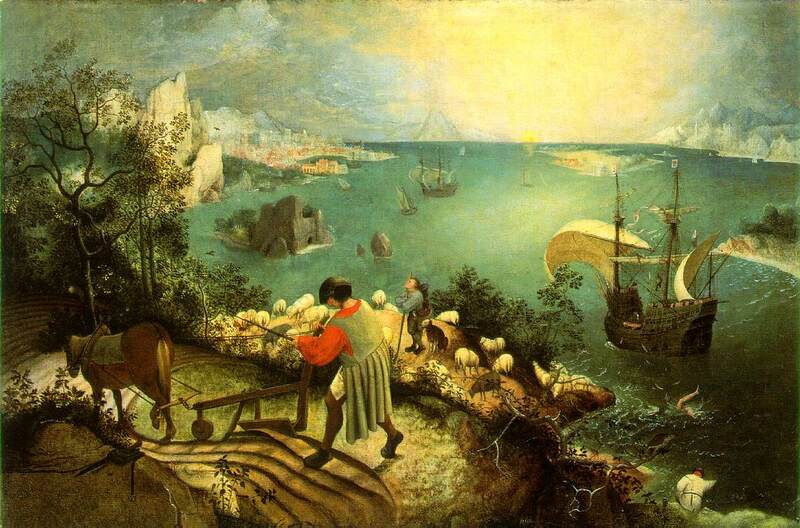 Auden described the ancient, legendary fall of the boy Icarus and the lack of concern by all who saw his death. The text was based on this sixteenth-century painting by Pieter Breugel. The poem's final lines say, "...and the expensive delicate ship that must have seen something amazing, a boy falling out of the sky, had somewhere to get to and sailed calmly on." The fall of Icarus represents failure, loss, and grief. In contrast, the lamb soaring over the world represents the opposite: sustenance, triumph, and joy. The expensive delicate ship still sails. 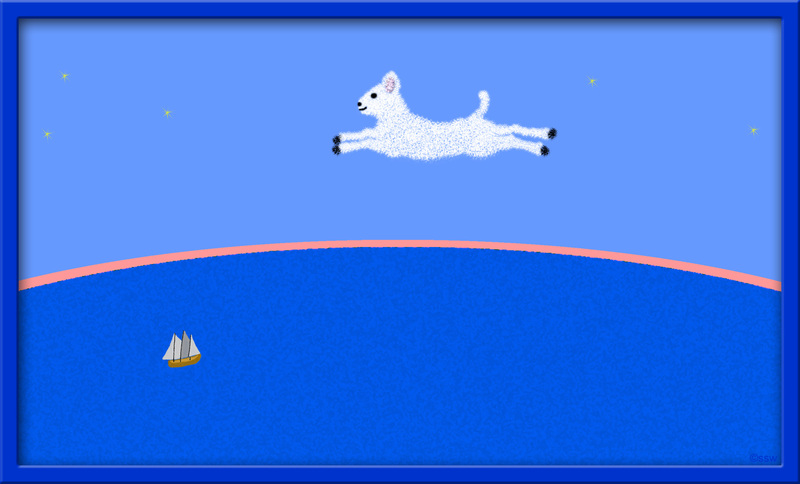 The sailors may or may not see the lamb. But the lamb never falls, and the soaring never ends.